Danise Lehrer, LCSW, LAc., has unique perspective, training and experience as a Licensed Clinical Social Worker, Mindfulness-Based psychotherapist and Licensed Acupuncturist. She has an extensive background practicing integrative healthcare, providing acupuncture and herbal consultation and treatment for physical and mental health balancing as well as mindful counseling. With a focus on stress reduction, the treatment of depression, anxiety, difficult life transitions, caregiver stress and other mental health and life challenges, Danise offers a variety of mindful therapeutic approaches, after exploring together what is the best path to pursue. "I value guiding people in increasing self-awareness and emotional intelligence leading to greater equanimity and supporting transformations that lead to a more balanced, fulfilling life." As a therapist and mindfulness instructor, she includes Mindfulness-Based practices such as Mindfulness-based Cognitive Therapy and Mindfulness-based Stress Reduction in working with individuals and groups. Having years of board and executive level experience in management, Danise has a great deal of experience in coaching people and supporting them towards their personal and professional goals, leading to greater fulfillment and balance in one's own life. I have spent many years supporting people to live the best life they can, even in the face of physical and mental health challenges and needs. Several threads and interests in my personal and professional life have intersected and brought me to this point. One thread has been my practice and training in mindfulness-based therapies and integrative healthcare. I have a strong commitment to balance and equanimity in my own life and the training to guide others in finding their own balance in the face of life’s challenges and transitions. In addition to mindful psychotherapy, the practice of acupuncture and herbal medicine has been a very effective tool to support these goals. Another thread is that as the parent of a son with autism, I have experience in helping others navigate the complicated world of those with chronic physical and mental health issues or who are differently-abled. Additionally, my years as a clinical director and executive director at nonprofits has provided me the knowledge and ability to assist others on this or similar paths. Together we can explore the path to a more content, fulfilling life. I also have a personal commitment to finding the good, seeing the natural beauty that is in the world, seeing the good in others, and self-care. I enjoy my time with my husband, Ted, and son, Jason, spending time in nature, hiking, swimming, traveling, creativity, and finding ways to give back and make a difference in the world. My husband, Ted and I are very involved in supporting the Achievable Foundation, www.achievable.org, the first Federally-Qualified Healthcare Center (FQHC) with a focus on providing healthcare for individuals with developmental disabilities, their families and others who are underserved in the healthcare system. Out of our experience with our son’s healthcare needs as well as my experience as a clinical director, I knew first-hand how challenging it was to find appropriate, skilled medical care for children and adults with disabilities. I made it a goal to focus on access to healthcare, and serving as the volunteer executive director, I helped start the Achievable Health Care Center. The Center opened up in 2013 and it is growing and thriving, making that goal a reality. 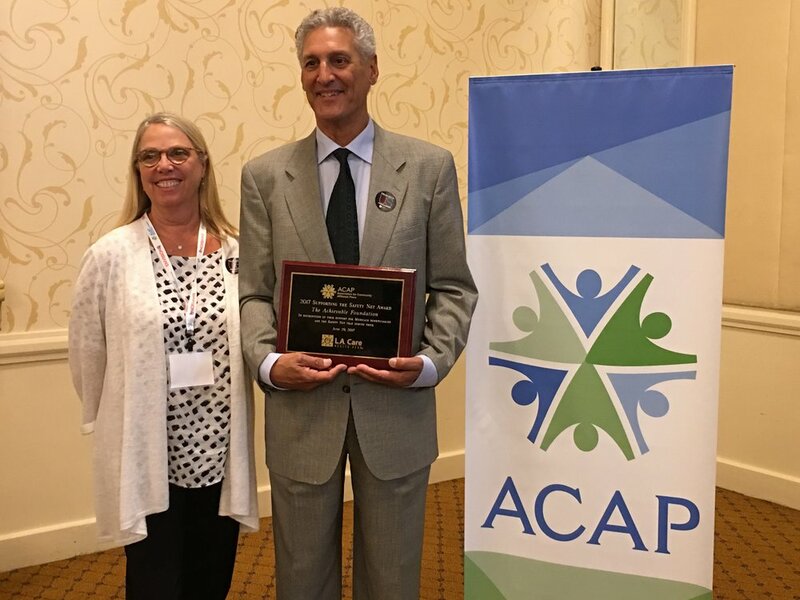 In 2017, we accepted a national award in Washington, DC, on behalf of the Healthcare Center, as the most innovative new clinic by the Association of Community Affiliated Plans, which are the safety net healthcare plans in the nation. In 2018, I received the Achievers Award for “Helping Change the Face of Healthcare for People with Intellectual and Developmental Disabilities” at the Achievable Foundation’s annual gala. I believe that in finding a way to give of your time and abilities to make a difference in other’s lives is an effective way to find meaning and write a different story about our own lives. But first we must start with our own self-care.